In a surprise move, Apple has started selling its smallest iPhone SE again. The device is now listed for sale on Apple’s official website and guesses what? the device has an affordable price of $249. The base model of iPhone SE with 32GB storage is now available at an attractive price of $249, saving you around $100 on the device, while the 128GB storage has a price tag of $299, which is still cheaper than the original $349.00 price. The Apple iPhone SE is available in all four color options, including, silver, space grey, gold and rose gold. 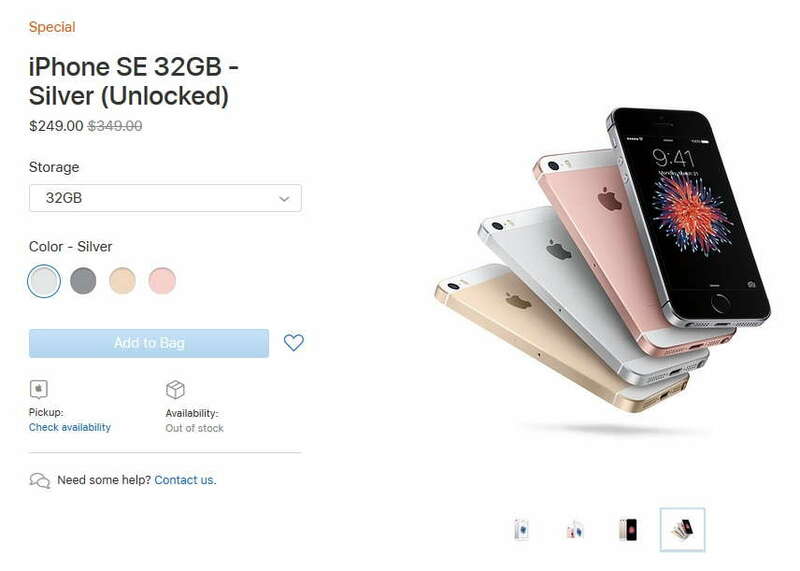 Interestingly, while everyone was busy reporting about its sale started again, we found that all the variants of the iPhone SE are already out of stock now, and there are no details available whether the device will be back again in the stock or not, we are also not sure about why Apple started its iPhone SE sale again. The fresh listing of the iPhone SE is only available in the U.S., however, users interested in buying the iPhone SE can check the available details for their region by searching the city or ZIP.